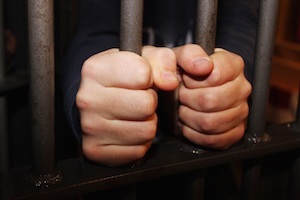 Many people don’t realize the severity of a criminal misdemeanor conviction until they attempt to handle the charges without help from qualified Seattle misdemeanor attorneys. Common misdemeanor offenses include DUI, minor drug charges, vandalism, and some cases of domestic violence. Not only do Seattle misdemeanor convictions incur severe punishments from the state that include hefty fines and jail time, but they can also have far reaching effects on your job, your family, and your future. Misdemeanor crimes can be especially damaging to young people. A minor DUI or drug-related conviction can haunt a person for many years, affecting their ability to get a good job and a reasonable head start in life. Our Seattle misdemeanor lawyers understand how important these cases can be, and treat every situation with the personalized attention it demands. Our Seattle misdemeanor attorneys understand that every case is different, but the state has a clearly defined set of penalties that can be imposed for various convictions. These penalties often include jail time, fines, probation, and in cases involving DUI, losing one’s driver’s license. With help from qualified Seattle misdemeanor lawyers, it is often possible to have punishments mitigated via a plea bargain. Driving Under the Influence – There are a number of different DUI related crimes that include physical control, minor DUI, and reckless driving. Our Seattle misdemeanor criminal attorneys understand the severity of these cases, and work tirelessly to do everything legally possible to have DUI related charges dismissed or reduced. Domestic Violence – Less severe cases of domestic violence are considered a gross misdemeanor, while more severe offenses are considered a felony. Either way, professional representation from our Seattle misdemeanor criminal lawyers will ensure that your rights are protected. Drug Offenses – Drug possession where small amounts are involved may seem harmless to some, but the penalties can be surprisingly severe. Theft Crimes – Also called shoplifting, our Seattle misdemeanor lawyers understand how a conviction could cause life altering consequences, so they attempt to build a defense based on the facts of the case. You can get answers concerning your case today without cost or obligation by contacting one of our Seattle legal professionals. Our free consultation offer makes it possible for you to get a better understanding of your misdemeanor crime, so that you can make an informed choice concerning representation. If you retain our services, our qualified Seattle attorneys will go to work immediately on your behalf, putting our more than three decades of combined experience to work for you. Don’t let a Seattle misdemeanor derail your life – contact the law offices of Jason S. Newcombe today and take steps to ensure a bright future.